The Seminar of Ancient History holds more than 12,000 coins of the Roman Imperial period and Late Antiquity. Their majority originates from a collection which Herbert Nesselhaus, the former Professor of Ancient History, was able to purchase in 1961 from the Archbishopric of Freiburg. The collection had found a temporary home there some twenty years earlier: Between 1900 and 1926 the Geheimer Oberbaurat Heinrich Wefels from Erlangen built a collection of c. 14,000 coins, which he had acquired at various auctions. About 10,300 are coins of Roman emperors and an additional 2,400 represent provincial issues. Wefels focussed on the Imperial period, but did add both earlier and later coinages, too. About 950 Byzantine coins, 360 Roman Republican ones, 220 Greek issues, and 22 Celic coins bear witness to these secondary areas of interest. Although the Seminar für Alte Geschichte is not any longer able to purchase additional coins, its collection was augmented through generous donations by Herbert A. Cahn, Otto Feld and Gerold Walser. Today the collection is complemented by a scientific numismatic library, which again originates in the collector Heinrich Wefels. The Antikensammlung of the University of Kiel holds a collection of circa 1,100 Greek and Roman coins, housed in the Kunsthalle zu Kiel. The collection for the most part originates from donations of the Danish king Christian VIII Friedrich (1786–1848) as well as acquisitions by Peter Wilhelm Forchhammer (1801–1894), professor of Classical Archaeology in Kiel, later supplemented by further purchases and donations. Roman Imperial coinage constitutes the vast majority of the collection, that was conceived to be used for teaching purposes and today is occasionally incorporated into the seminars of Classical Archaeology in Kiel. The coin collections of the Goethe University are located in the Institute for Archaeological Sciences, and reside partly in the Antiquities Collection of Abteilung I (Classical Archaology) and partly in the collections of Abteilung II (Archaeology and History of the Roman Provinces and the Archaeology of Coins, Money and the Economy in the Ancient World). The Antiquities Collection of the Goethe University, based at the Classical Archaeology Department of the Institute for Archaeological Sciences includes around 250 ancient coins alongside a rich collection of ancient vases, glass, lamps, terracottas and other objects. Roman coins form the focus of the coin collection, supplemented by a small number of Greek, Jewish, medieval and modern coins. The coins are regularly used in teaching as study objects, especially for iconographic questions, but also for numismatic identification exercises. The largest part of the numismatic collections of Department II of the Institute for Archaeological Sciences at the Goethe University Frankfurt pertains to around 30,000 plaster cast of ancient coins, encompassing all periods of antiquity. The casts were originally made as research tools for scholars such as Konrad Kraft, Richard Delbrueck and Susanne Grunauer-von Hoerschelmann. A particular strength of the plaster cast collection is lies in the Roman Provincial Coinage. The department also owns two collections of original coins: a teaching collection of around 75 pieces, and a special collection of roman coins with countermarks, encompassing around 300 pieces. The Herzog Anton Ulrich-Museum (Braunschweig, State of Lower Saxony, Germany) holds a collection of about 30.000 coins and medals, ranging from antiquity to the modern era. The collection was founded by the dukes of the house Brunswick-Wolfenbüttel with a focus on ancient coins as well as coins and medals of the Guelphs (particularly outstanding is the collection of Northern and Central German bracteates). In the 19th and 20th centuries the collection was expanded by the acquisition of important collections and treasure troves. Paul Jonas Meier bought a substantial collection of French and German Art Nouveau plaques and medals for the museum in the first quarter of the 20th century. Over the centuries, the coin cabinet came about to harbor a universal collection of German, European and non-European coins, among them ca 2.000 Greek and 2.500 Roman coins. The Institute of Ancient History and Classical Antiquities at the University of Graz houses a collection of nearly 4000 antique coins. 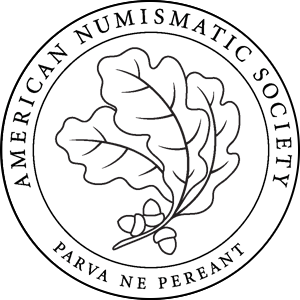 KENOM (Kooperative Erschließung und Nutzung der Objektdaten von Münzsammlungen) is a long time project of different numismatic collections in Germany to bring their numismatic objects (coins, medals, paper money and also coin find-informations) together online. There are a common internal database of the project for the data input and a portal of presentation of qualified data and images. Goals of KENOM are the harmonisation of numismatic data of the partners, the integration of open linked norm data and the definition and use of a LIDO-based data exchange format. 2012-2015 the project was funded by the Deutsche Forschungsgemeinschaft, now KENOM is operated jointly. The strong technical partner of the project is the Gemeinsamer Bibliotheksverbund Göttingen. Today already 13 institutions present more than 33,000 numismatic objects together in the portal <http://www.kenom.de/>. In 1841, the United Friedrichs-University Halle-Wittenberg decided to set up an archaeological University collection. However, this project could not be implemented until 1849. In this year the first quite small archaeological gallery was opened as the first public art collection in Halle. The core of this museum was the "Münzkabinett" formed by Johann Heinrich Schulze (1687-1744), which already provided access to original coins for lectures and exercises on ancient numismatics during his life-time. By doing this Schulze became a founder of numismatic teaching at University. This core collection, the "Numophylacium Schulzianum", can thus be linked to the development of the European Enlightenment in the 18th century in Halle, and it still is preserved here today. Almost half of today’s inventory of c. 5.000 coins (a total of c. 1.400 Greek, some Byzantine, and Oriental coins, the remaining two thirds are Roman) originates from Schulze’s collection. With over 20,000 objects, the coin collection of the Institute of Classical Archaeology at the University of Tübingen is among the largest university collections of ancient coins in Germany; it is also one of the oldest, its history spanning more than 220 years. Today, the collection contains c. 8,000 Greek, 7,000 Roman, 2,000 Modern coins, and more than 3,000 medals and various other numismatic objects. The collection is made up by three major bequests: Tux (1798), von Schäffer (1888), and Hommel (1975). As such, it mirrors the history of coin collecting from the late Baroque period to the twentieth century. The most prestigious items of the collection are on permanent display at the Museum of the University of Tübingen MUT Alte Kulturen. The Numismatic Collection of History Institute of the Faculty of History of the Ruhr-University Bochum consists of more than 3,400 objects covering the whole of Antiquity, from the Archaic Age of Greece to the Byzantine period. In addition, it includes a small Late Mediaeval hoard, which was discovered in Querenburg in 1966 in the course of the construction of the University. Since 2001, the Special Collections and Archives department of the Rutgers University Libraries has been the home to a significant Roman numismatic collection, the Ernst Badian Collection of Roman Republican Coins. This collection was created by the late Professor Ernst Badian (d. 2011), who donated it to Rutgers. The collection is composed at this time of more than 1200 coins, documenting the emergence of coinage and a money economy in Rome and developments down through the late Republic (280 to 31 B. C. E.). The collection begins with examples of cast bronze coinage, used in the earliest stages of monetization. Professor Corey Brennan of Rutgers University is Professor Badian's literary/academic executor, and it is with Professor Brennan's full consent that Rutgers University Libraries can use the Badian notes in the Roman Coins portal. Roman Republican and Imperial coins in the PAS dataset that have an RRC or RIC number attributed to them.